But getting caught holding dozens of counterfeit or stolen cards is tough to explain to authorities. Hence, the allure of the Fuze Card, which may appear to the casual observer to be just another credit card in one’s wallet. “While this smart card technology makes up a small portion of fraudulent credit cards currently, investigators should be aware of the potential for significant increases in fraud loss amounts with the emergence of this smart card technology,” the Secret Service memo concludes. Fuze Card did not respond to requests for comment. In many ways, it is unsurprising that thieves are turning to this new technology to perpetrate credit card fraud, which is something of a constant cat-and-mouse game that employs ever-changing techniques. For evidence of this, one need only look to the constant innovations that fraudsters come up with to deploy physical card skimmers at ATMs and retail checkout lanes. No doubt, fraudsters engaged in money laundering via virtual currencies like bitcoin will be doubly interested in Fuze Cards in the coming months. 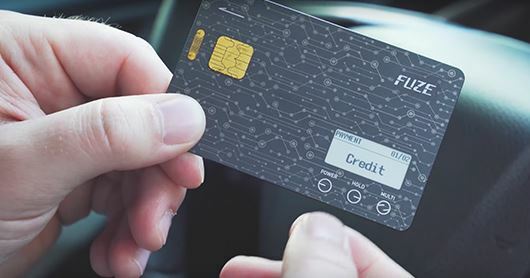 Fuze Card says that later this year it plans to launch FuzeX, which contains the same amenities of the Fuze Card and will allow users to conduct purchases using virtual currencies.